New game - new £30,000 tournament at Maria Casino! The brand new slot Vikings Go to Hell has arrived at Maria Casino. This is the third and final battle in the Vikings-series. Maria Casin is, as usual, celebrating their new release with a brand new tournament. Opt in today for a chance at the £5,000 top prize! 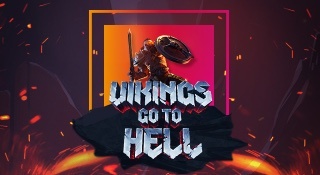 The Vikings Go to Hell tournament will go on until June 6th. You need to opt in on the tournament over at the Maria Casino website. Then play at one of the three slots in the Vikings-series: Vikings go to Hell, Vikings Go Wild and Vikings go Berzerk. The top 500 players with the highest equalized win over 20 consecutive rounds will get to share the £30,000 prize pool. The top prize for the winner is £5,000 cash – so this is a tournament you don’t want to miss out on!